Glaucoma eye disease,Symptoms,Causes and Treatment ~ healthdaylight help to you improve your health. Glaucoma is a disease of the eyes, which silently snatches away the eyesight of a sudden. 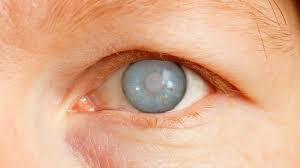 Due to Heredity, diabetes, hypertension and cardiovascular disease, people suffer from Glaucoma. The vein that gives the eyes visible from the eyes to the brain means that the optic nerve gets damaged due to the formation of an excessive amount of fluid in the eyes. Messages through the same vein reach the mind, but due to its damaged messages become obstructed, and gradually the person reaches near blindness. If it is not treated at the right time, the vision is completely gone. Glaucoma is more likely to occur after the age of 40. After the age of 40, keep eyes fixed regularly. People of this age may find that their eyesight is getting weak due to cataracts but the weakness of the eye may be due to Glaucoma. Those who are taking steroids for a long time for diseases like asthma or arthritis, they are more likely to get Glaucoma. There is an increased risk of Glaucoma, even if there is an injury to the eye or any surgery has taken place. Those who have myopia, diabetes, or blood pressure decreases, they may have more damage than Glaucoma compared to other people. Glaucoma may also occur in children. If there is a Glaucoma in the family, then the child is more likely to have Glaucoma. This is a genetic disease. Once glaucoma is detected, if you treat it at the right time, you can avoid its bad consequences. You also have to change your eating habits. The rainbow-like figures appear around the light. Eye pain and vomiting with a headache. • Once the loss of sight is concerned, the damage is already serious. • Advanced Glaucoma can lead to blindness. Symptoms are often related to the underlying problem, which leads to Glaucoma. Depending on the reason, symptoms can be like open-angle Glaucoma or angle-closing Glaucoma. • If you have open-angle Glaucoma, you will probably be given eye drops. You may need more than one type. Most people can be treated with eye drops. • Most of the eye drops used today have fewer side effects than those used in the past. • Pills can also be given to reduce pressure in your eyes. Closing the attack of an acute angle Glaucoma is an emergency medical condition. If you are not treated, you may be blinded in a few days. • You can be given injection medication through pills and nerves to reduce eye pressure. • Some people also need an emergency operation, which is called Iridotomy. Doctors use lasers to open a new channel in Iris. Sometimes it is done with surgery. The new channel gives relief from the attack and will stop the second attack. To help prevent the attack in the second eye, the procedure will often be done on the other eye. It can be done even when it is never attacked. • Congenital Glaucoma is almost always treated with surgery. • In general, anesthesia is used. This means that the child is sleeping and there is no pain. If you have secondary Glaucoma, treating the cause can remove your symptoms. Other treatments may also be necessary. Open-Angle Glaucoma cannot be cured You can manage it and save your eyes by following the instructions of your provider. • Close angle Glaucoma is a medical emergency, you need treatment immediately to protect your vision. • Babies with heterogeneous Glaucoma are usually cured when surgery is done early. • You can correct secondary Glaucoma by correcting its internal cause.